I'm well aware of the stigma that is synonymous with Bourbon St. It has a seedy reputation for reasons that are readily apparent once you've seen so for yourself. 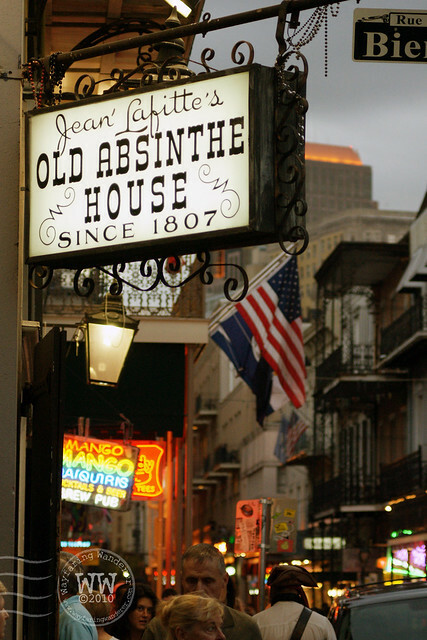 The wacky and weird are everyday occurrences on Bourbon St., so be prepared to witness the odd and outrageous. Some things will make you laugh while others will make you gasp. My first trip down the strip was rather alarming to say the least. A homebody like me felt extremely out-of-place with the party people at first, but I quickly came around. The electric energy was impossible to resist mingling with no matter how hard I tried. Day or night, the streets are teeming with bead wearing, oversize drink toting pedestrians who are ready to PAR-TAY! 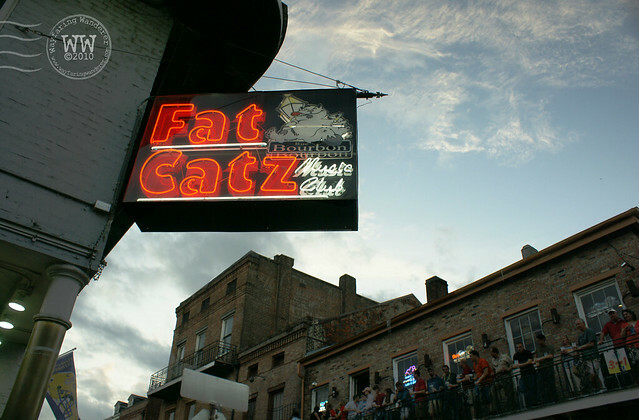 It also seems as though no matter what day of the week you venture to this non-stop party spot, it's always Fat Tuesday. 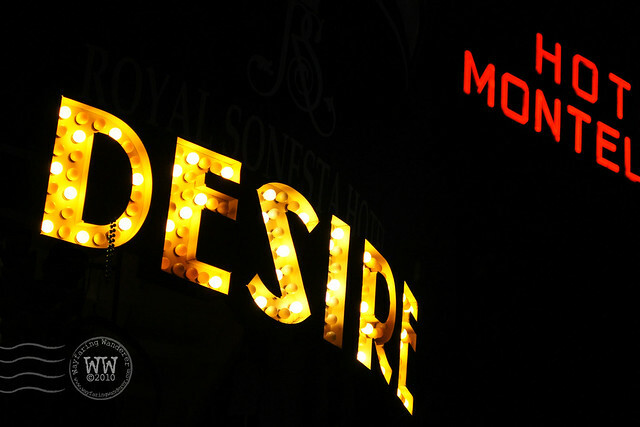 Strolling down the strip flanked by the blazing glow of neon lights along with the flooded streets and balconies overflowing with fellow party goers was a lot to take in at times. And I was told on many occasions that what I experienced was nothing compared to Mardi Gras. Seriously, I can't image. 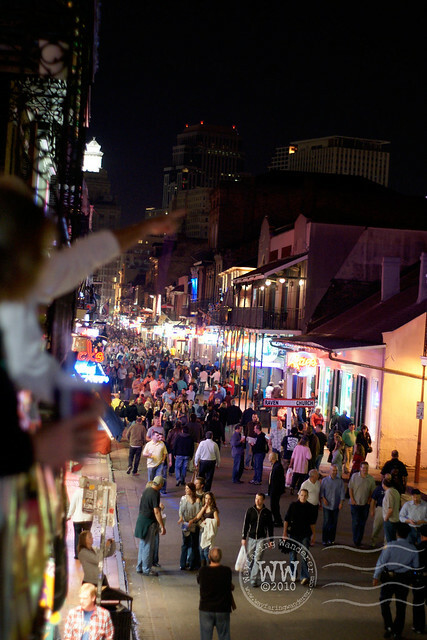 It's no wonder that nightlife fanatics from all over are flocking to New Orleans to let loose. After all, the city was named the #1 destination for nightlife in the world by tripadvisor.com. Not to mention the fact that they pretty much invented the cocktail. 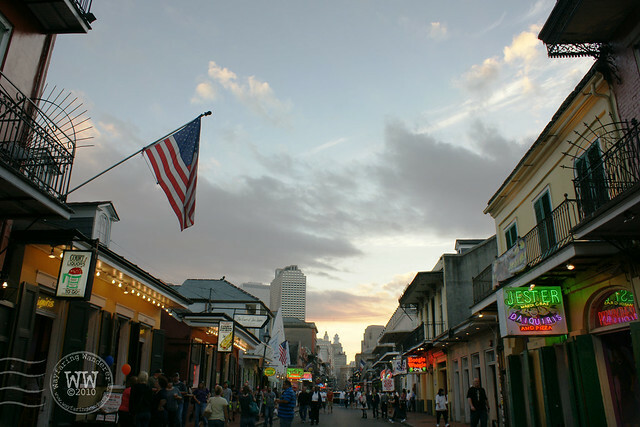 Bourbon Street is most definitely a tourist attraction on its own with numerous bars, restaurants & night clubs to keep you occupied. While it's wildly popular among tourists it's pretty much loathed by the locals. And I can't really blame them. Tourists can be obnoxious, especially when large quantities of alcohol are added to the mix. Bourbon St. is an anything goes kind of place with no laws regarding open containers, which allows people to walk around the streets with cocktails. Even the bars don't have specific closing times that they must adhere to. They can stay open until 2am or 5am, it just depends on whether or not people are still drinking. With barely any rules, things can get out of hand, people start acting like fools. That's why locals don't step foot on that strip. I was warned, but I went against my better judgment and took my chances. And it was fun while it lasted. Maybe even too much fun! There were only two nights during my trip that we braved Bourbon St. After the second night, I declared that I'd had enough. 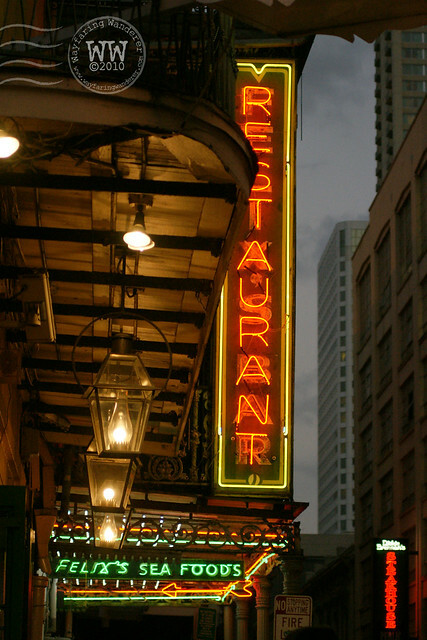 There is much more to New Orleans than Bourbon St. and I still had a lot left to explore. 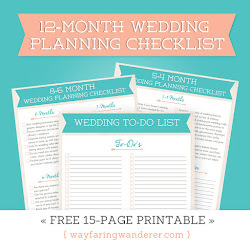 But staying up till all hours of the night made that an extremely difficult task to undertake. It was an experience that I won't soon forget even if I'm not ready to repeat it any time in the near future! it is an eyeful and overwhelms all of the senses for sure. fun to see and at the same time, somewhat painful too. i would never want to live there but love to visit about once a year. the food is so divine. yes, from looking at the shots the place looks almost deserted to other times i've been there. One of my favorite places on earth! those are great! i really like the pictures with the "sleeping" trees that have patches of red berries. the color makes the picture really cheerful! awesome post!